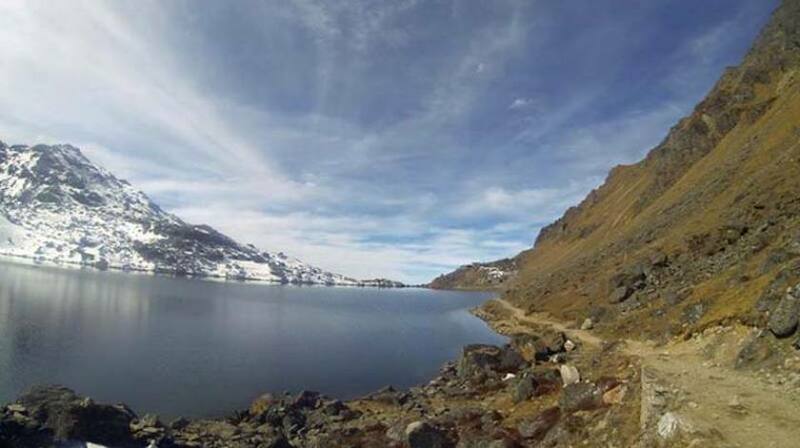 Walk through the Holy Lake of Gosaikunda! Gosaikunda Lake Trekking is one of best short treks in Langtang region supplying the best experience of walking through beautiful rhododendron and oak forest, varied landscapes, old Buddhist heritages and monasteries, high elevation adventure of Lauribina Pass (4600m) and the sacred lake itself. 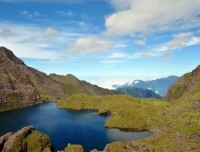 Gosaikunda Lake is the sacred destination for Hindu and Buddhist pilgrims and adventure route for travelers. According to Hindu mythology, Gosaikunda Lake was created by Lord Shiva by thrusting his Trident (Trishul) into the mountain to extract water, because of the dangerous poison he had to swallow while churning the ocean. And it is also believed to be adobe of Lord Shiva and Parvati.Gosaikunda Lake is situated at the elevation of 4380m and covers an area of 34 acres, and there are 108 small and medium sized lakes around the vicinity. Trekking to Gosaikunda Lake starts with 6-7 hours drive from Kathmandu to Dhunche village and steady climb towards small settlement of Sing Gompa where we shall visit the Yak Cheese Factory. We carry on through the beautiful rhododendron conifers oak and pine forest while witnessing a beautiful Langtang and Tibetan range of mountains during the climb to Lauribinayak. It is also a fine point to watch the sunset view in the evening. The trek continues on the narrow trail towards the sacred lake of Gosaikunda, but first, we encounter another smaller Bhairav Kunda Lake. We will stay at teahouse by the side of the lake and cross Lauribina La Pass (4610m), the next day to meet the Helambu trekking trails. Again, the vegetation starts to appear and we walk through the beautiful Thadepati pass, observing mountain peak one more time before reaching to Chisapani village for last overnight. After catching a sunrise view in the morning from Chisapani, we continue our walk towards Mul Kharkha village through dense forest and finally to our trek ending point at Sundarijal from where we will take an hour drive to the hotel.